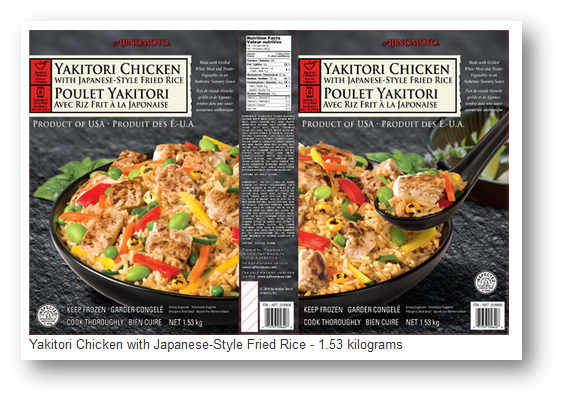 Company / Firm: Costco Wholesale Canada Ltd.
Ottawa, May 9, 2016 - Costco Wholesale Canada Ltd. is recalling Ajinomoto brand Yakitori Chicken with Japanese-Style Fried Rice from the marketplace due to possible Listeria monocytogenes contamination. Consumers should not consume the recalled product described below. In addition, Costco Wholesale Canada Ltd. has indicated that some Costco warehouse locations did provide free food samples of the recalled product in recent months.